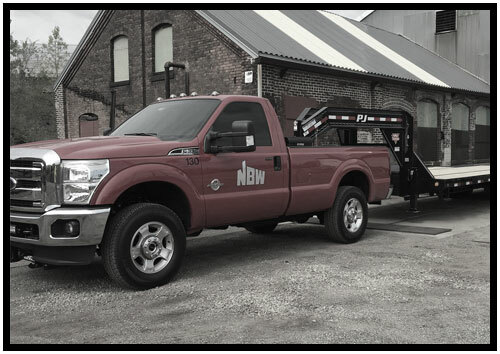 2015 marks the 80th Anniversary for NBW, Inc being in business. We would like to thank all our customers for their continued patronage. It is because of our customers that we continue to grow and lead the industry in our area. Sale and installation of two 150,000 PPH Babcock & Wilcox boilers with PLC state of the art controls boiler to a major heating and chilled water facility, including new deaerator, feed pumps, steam stem distribution piping. Sale and installation of a 125,000 PPH Babcock & Wilcox superheated package water tube boiler with low NOX burner and touch screen controls to a grain processing plant. Sale and installation of a 80,000 PPH Babcock & Wilcox package water tube boiler with low NOX burner, complete new boiler room including deaerator, feed pumps, softener, blow equipment, and touch screen controls to a grain processing plant. Relocate and installation of a 80,000 PPH package water tube boiler with low NOX burner and touch screen controls to a grain processing plant. Relocate and installation of a 80,000 PPH & 40,000 PPH package water tube boiler with low NOX burner, deaerator, feed pumps and touch screen controls to a grain processing plant. Complete mechanical piping network system for a Ohio based tank unloading and storage facility. We continue to grow and look for new ways to service our customers. 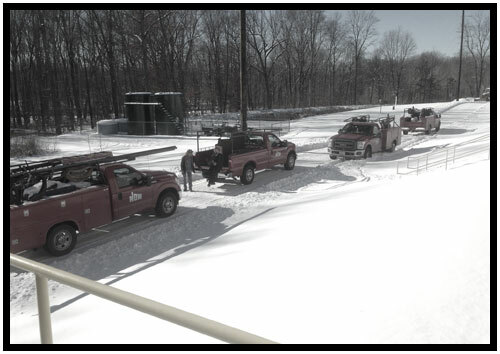 NBW invested in new field and shop equipment as well as the recent expansion of our pipe fabrication facility.